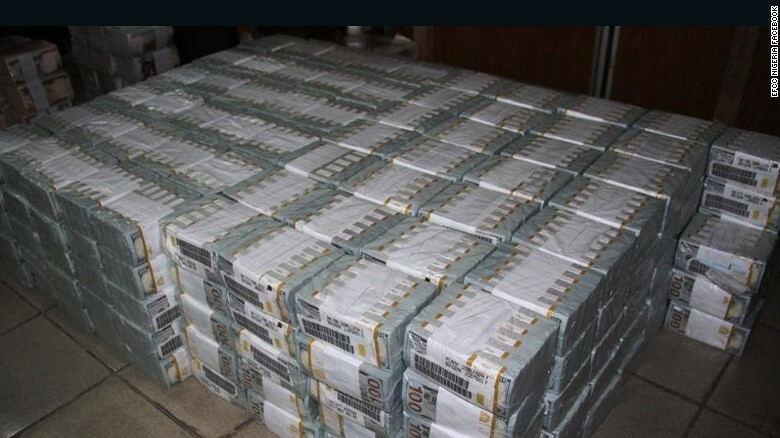 The Nigerian anti-corruption unit discovered more than $43 million in US dollars at an upscale apartment in Lagos. The anti-graft agency said in a statement it raided the apartment Tuesday after a tipoff about a "haggard" woman in "dirty clothes" taking bags in and out of the apartment. The agency said it also found 23.2 million naira (Nigerian currency worth $75,000) and £27,800 (UK currency, worth $35,000 US) "neatly arranged" inside cabinets hidden behind wooden panels of a bedroom wardrobe. The commission said the funds are "suspected to be proceeds of unlawful activity" but no arrests have been made yet. Nigeria has struggled with corruption and looted funds for decades, but the watchdog unit has been on a lucky streak. 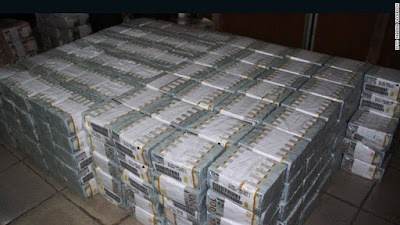 Earlier in the week, the agency discovered around 250 million naira in cash ($817,000) in a Lagos market and a further 448 million naira cash ($1.5 million) at a shopping plaza. These gains have been credited to a whistleblowing policies launched in December by Nigeria's finance minister. Whistleblowers can now anonymously provide information through a secure portal, if the information leads to the recovery of stolen public funds, the whistleblower is entitled to between 2.5%-5% of the total money recovered. In February, the minister of information, Lai Muhammad, said the policy has led to the recovery of over $180 billion.